Azerbaijan President Ilham Aliyev won a fourth term Wednesday after a controversial snap election that main opposition parties boycotted. Aliyev's win appears to be a landslide; he earned 86.1 percent of the vote with 67.3 percent of the vote counted, according to the Central Election Commission. "I am grateful to my people for voting for our achievements and success," Aliyev said on state television, according to Radio Free Europe. "People voted for stability, security and development." The election was originally scheduled for Oct. 17, but was rescheduled for April 11 due to the country hosting high-profile events towards the end of the year, according to the Malta Independent. But in February, the leader of the opposition Musavat Party, Arif Hacili, accused Aliyev of changing the dates so that opposition parties wouldn't have time to prepare and dismissed the snap election as "an operation to prolong Aliyev's rule for another seven years." Aliyev has been in power since 2003 when he succeeded his father, Geidar Aliyev, who led the country when it was part of the Soviet bloc and then after the country gained independence in 1991. 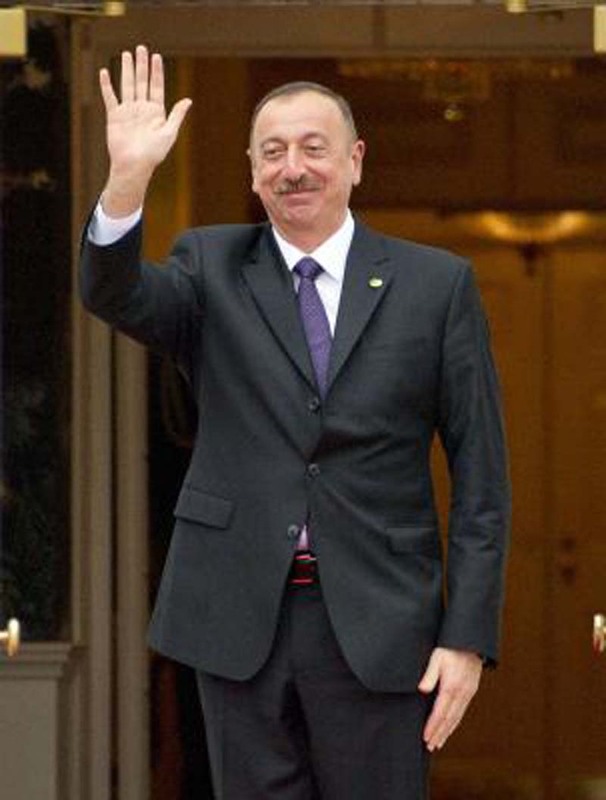 In 2016, the younger Aliyev received criticism from U.S. officials when he changed the Azerbaijani Constitution to extend presidential term limts from five years to seven years.